Yesterday’s outing wasn’t quite as succesful as my last Half Marathon in February because I was Hot, Hungry and I let my mind win! However it was an enjoyable day all the same and it was great to meet up with some friends and meet some lovely twitter folk for the first time. Hot. Fairweather I might be, but I also don’t seem to like hot either, especially when I’m not accustomed to it! Maybe I’ll have to change my name for a more precise one? (5 to 15 degrees?) The sun was strong and the race felt like relentless hot tarmac. I started off a little quick but eased it back and was then in the first half of the race averaging a similar pace to my last HM but as it got warmer and the sun got stronger I found it tougher to keep up. I need to get back in the habit of drinking frequently and earlier during warm races. Hungry. The race started at 12.00 and by 6 miles I was ready to knock off for my roast dinner! Seriously it was difficult to judge what to eat beforehand. Even after a good breakfast, and although I tried to eat well the day before and snack well before, I obviously didn’t get it right. By 6 or 7 miles my legs felt like I’d run out of petrol and hot sticky jelly babies were hard to swallow. The sports drinks and gels I’ve tried give me stomach cramps (or worse) but it might be time to experiment and try some new ones for the future. I let my mind win. 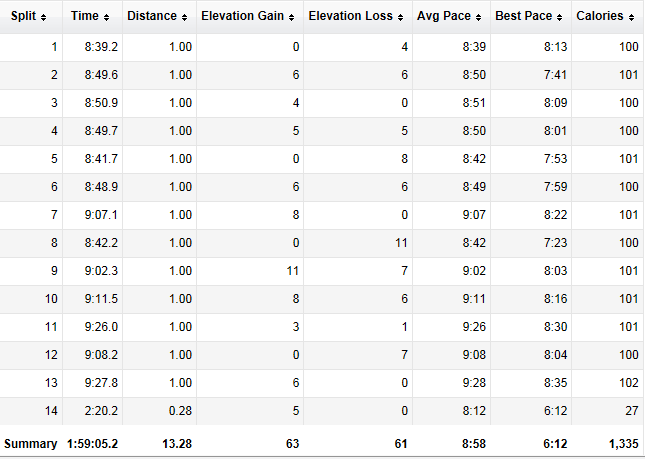 By mile 10 I was finding it tough to keep mind over matter and hold my pace. Seeing quite a few runners passed out and receiving medical attention didn’t help and I eventually made the sensible decision to let my mind win and eased off a bit. All was not lost and I was rescued in the last half mile from my slowing pace when I was overtaken by the 1.58 pace-maker running with a small group. I tucked in behind and kept pace with them to the finish where my sneaky (not so dead after all) legs managed a reasonable sprint over the line, finishing in a respectable 1.59.05. 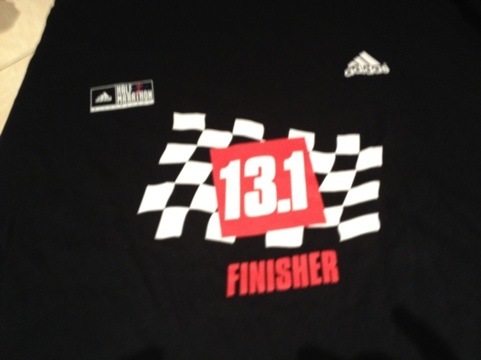 Categories: Race report, running | Tags: Half Marathon, Races, Running, Silverstone HM | Permalink. Well done – sounds terrible but a good event – the weather was a bit unusual at the weekend. I am really impressed with your time but do not envy you. I did the Cambridge half but it started at 9.00 which was good because it was not too warm. There was also some shade. I also have to get into the habit of taking on more water as the weather warms up. Maybe next year you should try the Cambridge? I use SIS gels (from Sweatshop), the tropical flavour is best. Well done on sub 2! It was a strange start time, and it was much hotter than I was prepared for too. I think the water’s possibly more important than the gels for those conditions. I use high5 isogel – more like a drink than a gel, and I find them easier to swallow. You’d have loved the weather today. Glorious sun while we were waiting to start to stop us getting cold, and then by lap 2 it clouded over to stop us getting too warm. Perfect. Well done for running in the heat.